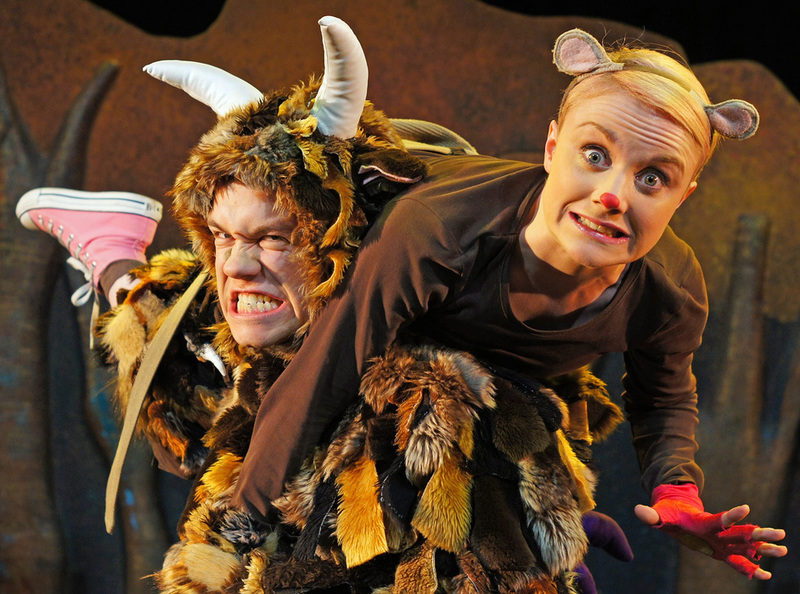 We have special offers available on tickets for The Gruffalo: Tall Stories Theatre Company. The Gruffalo is a classic that kiddies just love and this Tall Stories adaptation of the picture book by Julia Donaldson and Axel Scheffler is "A fine piece of children's theatre," says The Sunday Times; "Monstrous fun," says The Daily Mail. The plot which begins with the loveable little mouse taking a 'stroll through the deep, dark wood' is enchantingly told by Tall Stories with a winning simplicity. Threatened by various predators, a snake, an owl and a gruffalo with ''terrible tusks and terrible claws, and terrible teeth in his terrible jaws'', the mouse outwits them all. The cast of three manage to transform the stage with remarkably few props and a host of infectiously catchy songs, not to mention some superb dance routines and non-stop drama. Many of the memorable lines become catchphrases and are repeated throughout the show in a bid to appeal to the innate 'again, again' approach favoured by children. By the end of the show they can raucously join in with their favourite bits. What are the best dining options near The Gruffalo: Tall Stories Theatre Company London? The Gruffalo: Tall Stories Theatre Company gyms, sporting activities, health & beauty and fitness. The best pubs near London The Gruffalo: Tall Stories Theatre Company. The Gruffalo: Tall Stories Theatre Company clubs, bars, cabaret nights, casinos and interesting nightlife. Where to have your meeting, conference, exhibition, private dining or training course near The Gruffalo: Tall Stories Theatre Company. From cheap budget hotels to luxury 5 star suites see our deals for Lyric Shaftesbury Avenue hotels, including Every Hotel Piccadilly from 91% off.